This weekend, Saturday, 30th April, 2019, is going to be a special MeritChoice ProfitReloaded Summit (MPS). Though, we are going to discuss some few other topics like Loan Without Collateral, CBN Loan, Mini-Importation, PayPal, Free Ride and Medical. But our focus shall mainly be on how you can make your first million sales with Facebook. Therefore the highlight of the summit will be more on how to create your own online empire with Facebook. Interestingly, we are having Sam Nebo that is already doing the same thing and getting the million-naira result to show attendees the secret. This Saturday, we shall have two sessions. At the first session, we will talk about all our other topics and also, Sam Nebo will give the valuable free session training on Facebook. He will show what he has been doing since January, 2019. After, we will have the paid session with Sam Nebo where he will lead interested participants to take action. You know, it is not just about listening to teaching. You can only move forward by doing. The second session is for that. You should be able to setup your own online store and start selling. One thing I am personally looking forward to, is to see more people recording million sales by the end of April 2019. This won’t happen without having appropriate knowledge and you are gaining it this Saturday. Click the link below to register for the summit. If indeed you hope to make millions by the end of April 2019, you need to invest now in the knowledge that will make it happen. 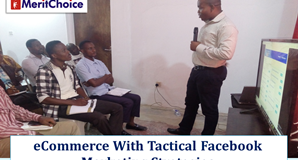 With just N30,000.00, you will be able to participate in this practical session. You will also have access to video that you can always consult time to time to be on top of ecommerce business with Facebook. Make sure you join us this Saturday, it will be powerful. This last Thursday, 28th, the participants of the training on How To Write Business Plan got more than what they bargained for. After Prof. Adeyemo taught them how to write business plan, he immediately admitted them into his CBN accredited Entreprenuership Development Institution, Multiconsulting International and gave them express access for CBN loan entry without them paying tuition fee. That is about N25,000.00 worth of fee given to them for free. What the students are expected to do is to just write the business plan of any business they want to do and this will be submitted to CBN for approval. 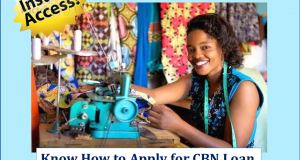 It means, the participants will soon be getting CBN loan to start their own personal business. This was never the plan but it happened. We are hoping to host Prof. Adeyemo again in April. Meanwhile, starting from Monday, 1st April, 2019, we will be having a consulting session for anyone that is interested in CBN loan from 11am – 1pm on Mondays and 10am – 12pm on Tuesday to Friday. What you should know about the loan is that everybody is eligible to it. 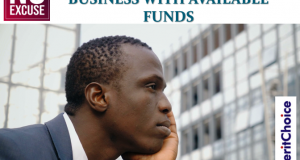 If you are into any business, you could have access to the money. The only business that is not supported is buying and selling. Therefore, if you come around to have a consulting session with us, we will be able to advice you how to benefit from the loan. The consulting fee is just N2,500.00 and you will able to know how to apply and benefit from this national opportunity.